"It reminded me of a Pez dispenser . 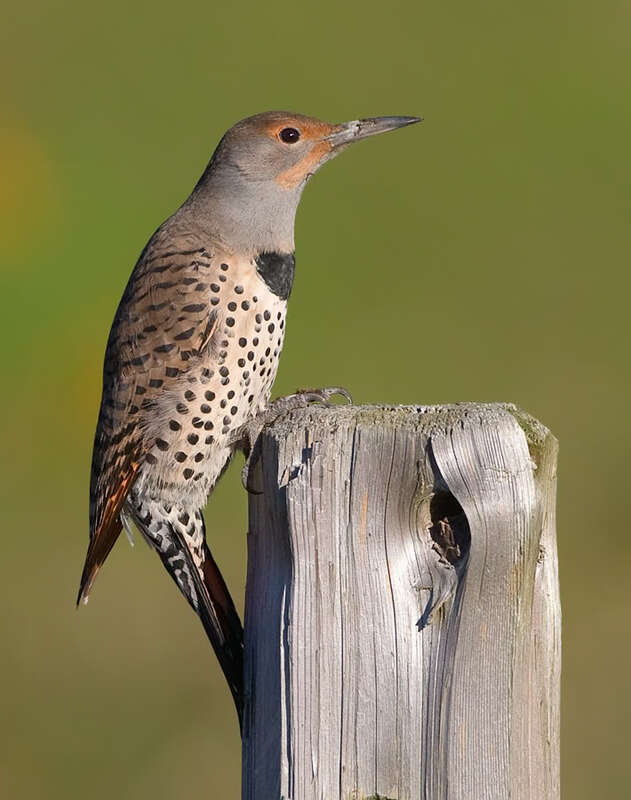 . ."
Photographer and naturalist Paul Bannick tells of a time in the forests of North Carolina, when he heard Northern Flicker parents urging their chicks to fledge. "There was a young, timid, brown head sticking out of that cavity. I could imagine this bird would be nervous about taking its first flight. But it gripped the front of the cavity and plunged forward ... on a really smooth, direct flight to the parents." 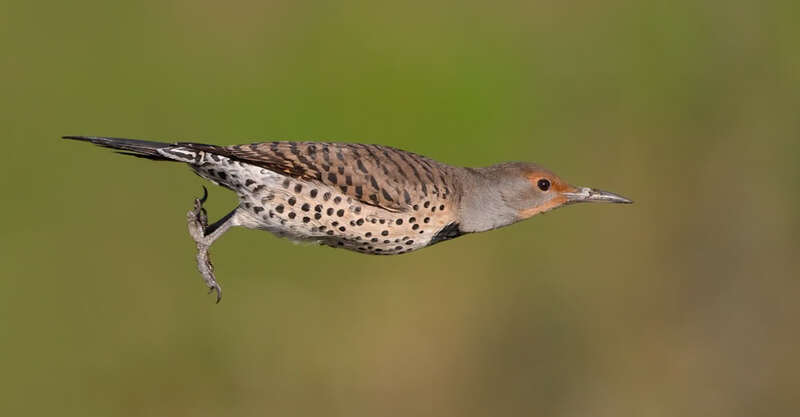 Photographer and naturalist Paul Bannick tells us of a time, in May, in the forests of North Carolina, when he heard Northern Flicker parents urging their chicks to fledge. “So I followed the source of those calls and I found a cavity and there was a young, timid, brown head sticking out of that cavity. 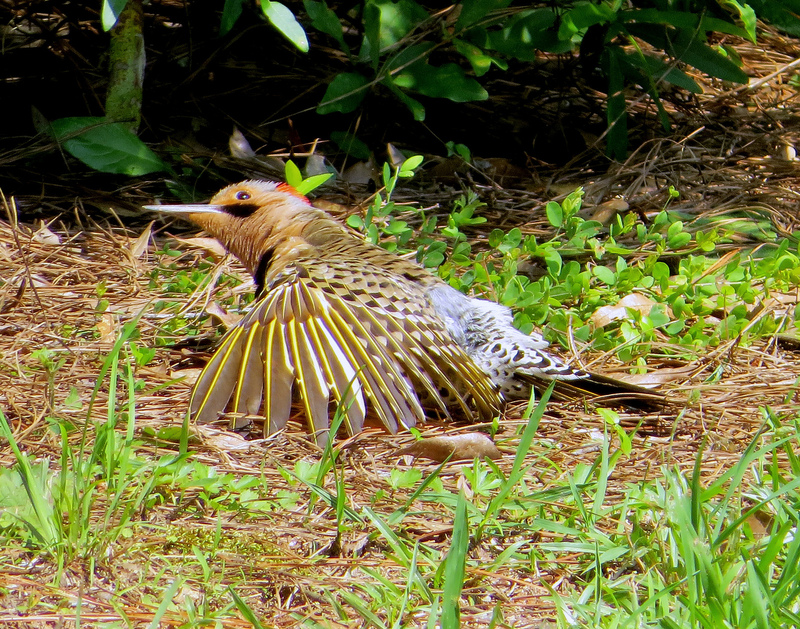 I can imagine this bird would be nervous about taking its first flight, and I was surprised there was only one chick. It gripped the front of the cavity and plunged forward. I was expecting it to fall and wobble, but it went on a really smooth, direct flight to the parents. 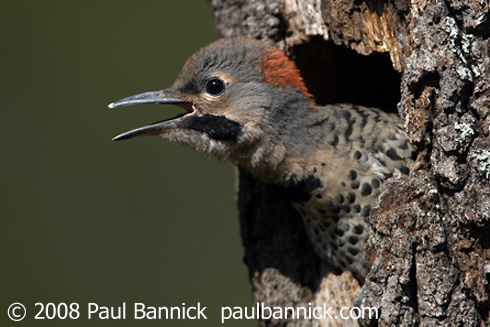 To see the flickers Paul Bannick photographed, come to birdnote.org. 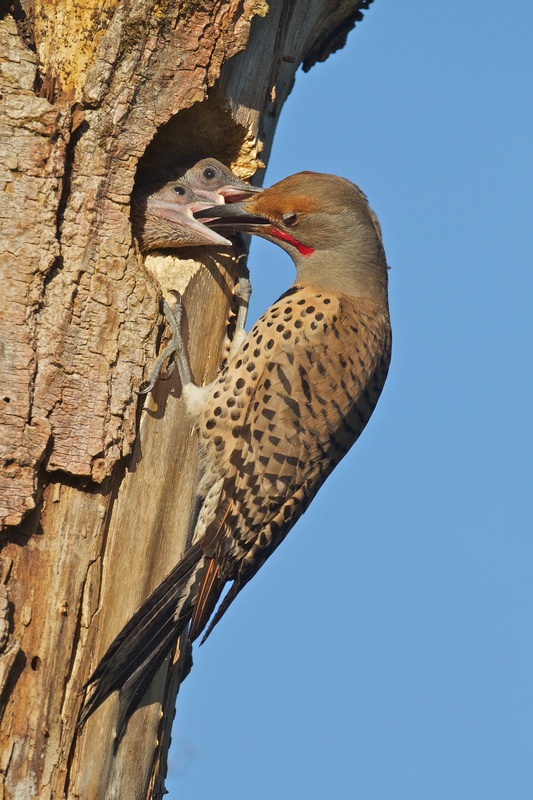 Calls of the adult and nestling Northern Flickers provided by The Macaulay Library at the Cornell Lab of Ornithology, Ithaca, New York. Nestling and adult exchange recorded by Kevin Colver; Wick-a call ML  recorded by Thomas G. Sander; Kleeyer call  by Curtis Marantz.